Sunday. Your house. Rams v Pats. It’s Super Bowl time baby! 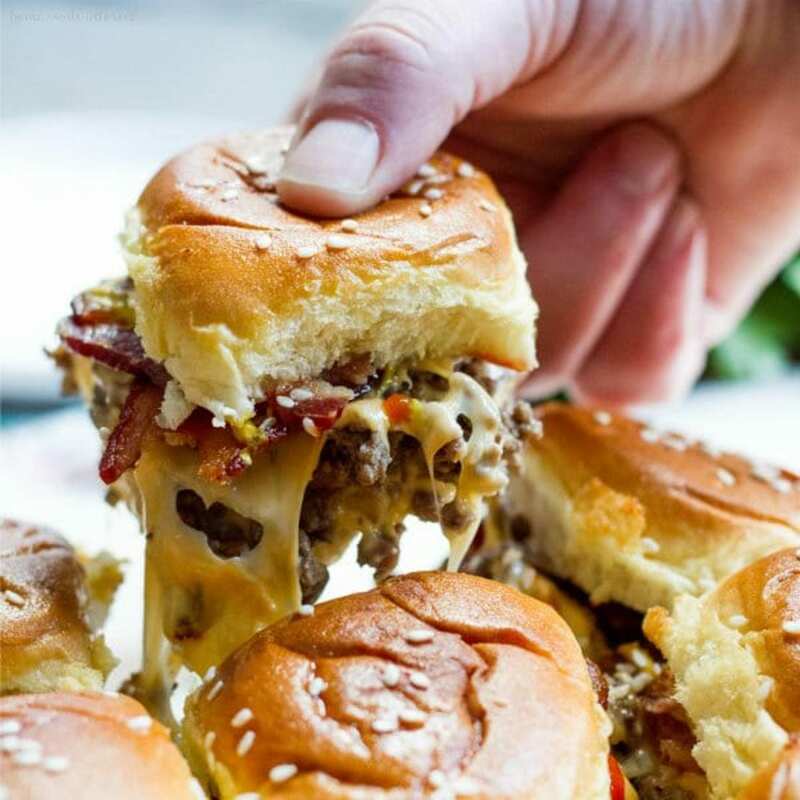 We’ve combed the web for the absolute best recipes to entertain a crowd. Our criteria? 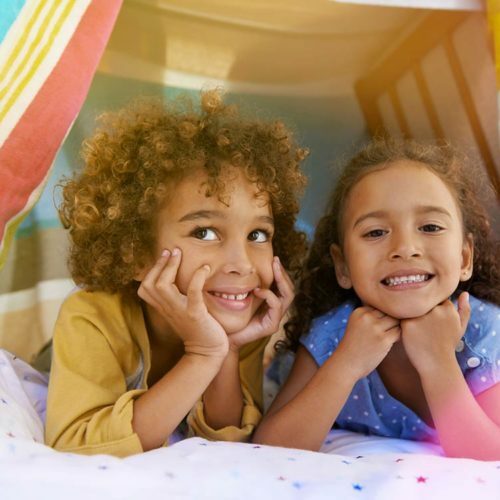 Easy on the budget, easy to make, and best of all, easy to enjoy. It’s a touchdown! Pigs in blankets. All you need for this party classic is some puff pastry, cooked sausages and mustard for dipping. Mini corn dogs. What could be easier than popping franks onto a stick, dipping into corn dog batter and frying until golden brown? Cheesy spinach and artichoke pinwheels. Adapt this basic recipe, using crescent roll dough, to suit your guests’ tastes. Salt & pepper cashew nuts. Another three-ingredient snack that is super-moreish. Make loads! Loaded guacamole. 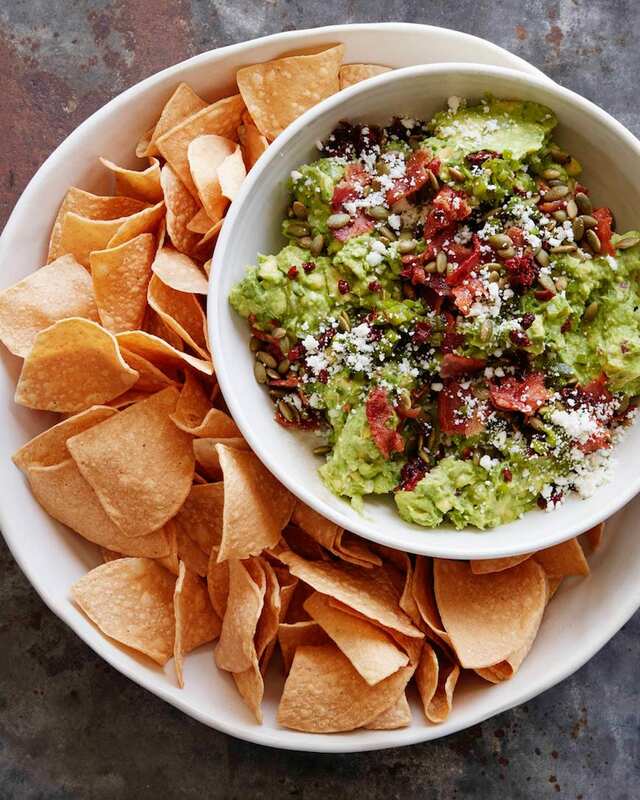 Crumbled bacon, toasted pepitos, cotija, jalapeno and creamy avocado… It’s like a hug in a bowl. Cinnamon-spiced nuts – that’s right. Sugar, cinnamon and nutmeg do all the magic, and we promise, you won’t even care about the score. Classic nachos. 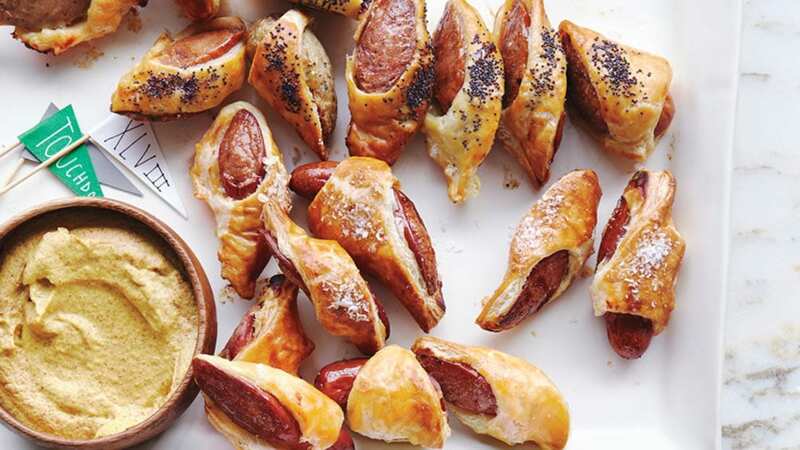 Just five simple ingredients are needed to bake up a batch of these ever-popular game snacks. Game Day Chili. It’s what everyone expects, right? 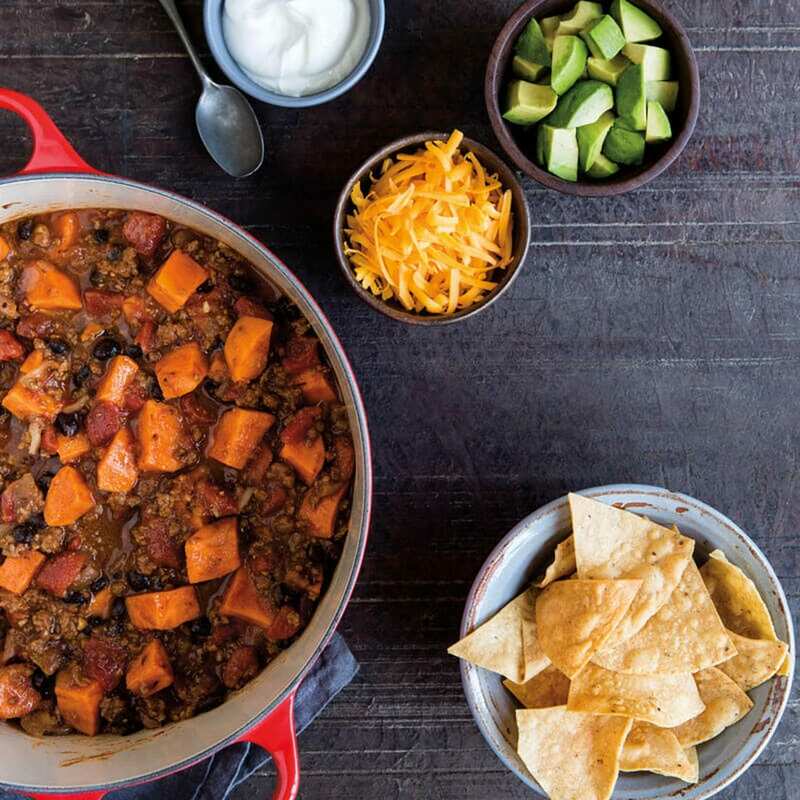 Warm your guests up with this spicy, deeply flavorful chili, a game day classic, complete with all the fixings. Or try Super Bowl Chili, which is just as richly flavored, but a much healthier turkey option. 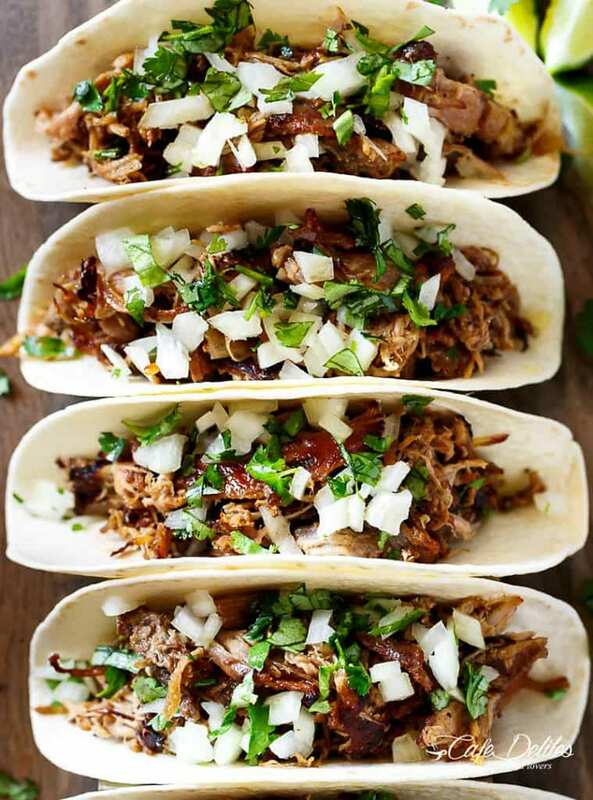 This epic Crispy Pork Carnitas recipe promises tender meat on the inside, and crispy edges, ideal for stuffing into tacos, quesadillas, burritos… A combo of lime and Coca Cola does the magic. Roast it in a slow cooker, then crisp up on your stove top or in the oven. Yum! 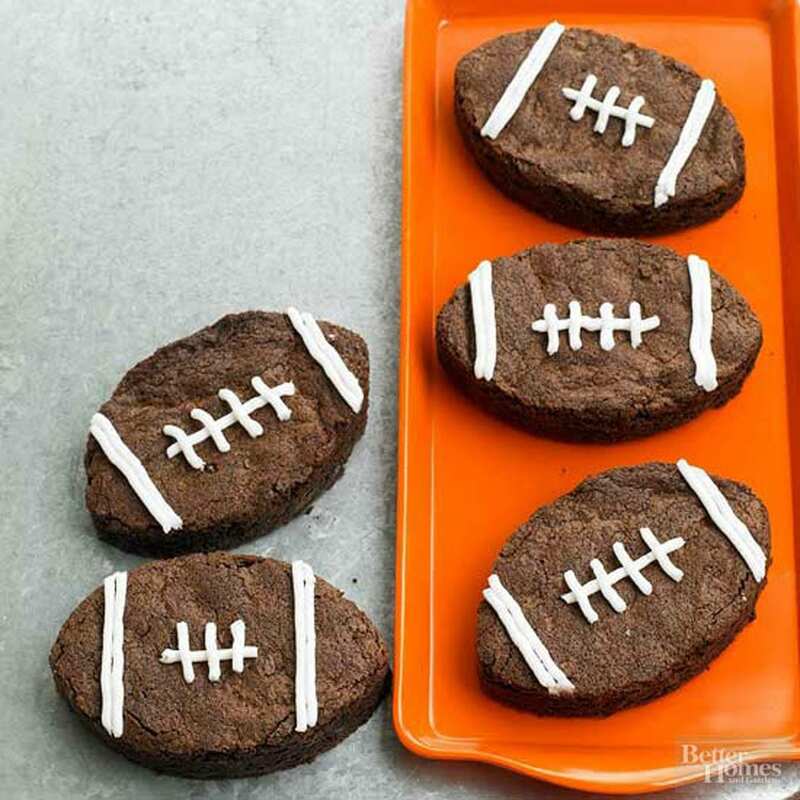 It absolutely has to be Fudgy Football Brownies! But don’t stop there… If you’re rooting for the Pats, put out some New England Patriots Pretzels. If the Rams are your team, serve up this Los Angeles Rams Popcorn. Great football, plenty of food to go around, and those incredible commercials… Hunker down, because it’s going to be one awesome day! 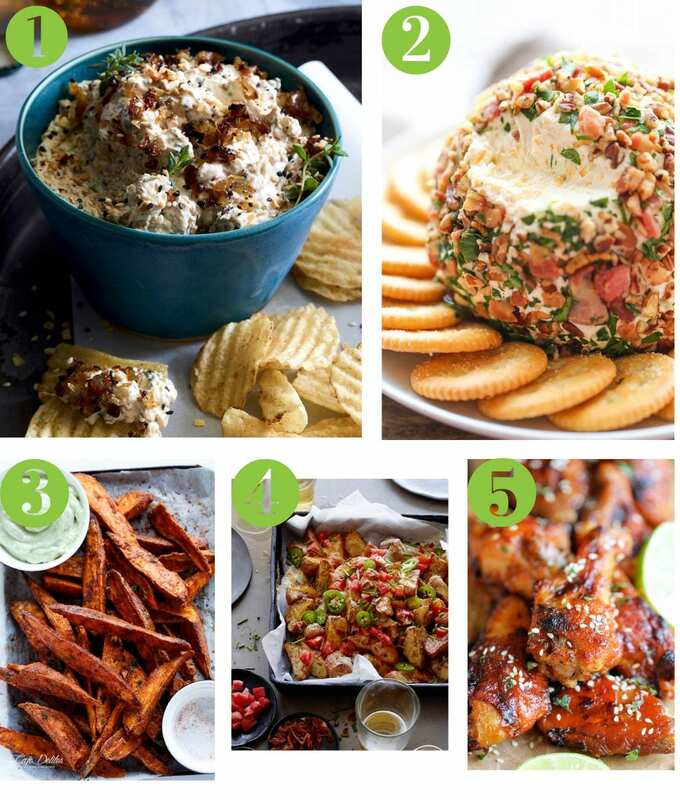 For more Super Bowl food and decor ideas, visit our Pinterest board, Super Bowl Party Touchdown. 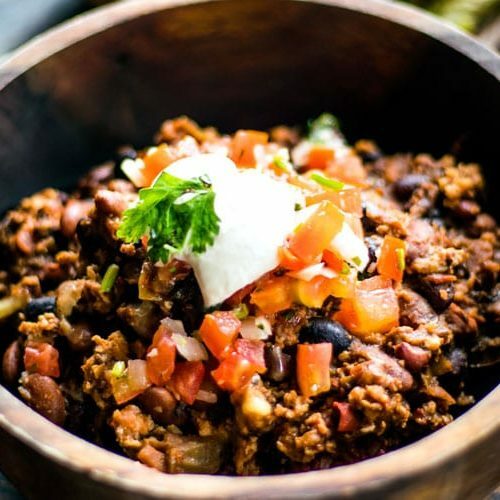 Our best-of-Pinterest chili recipes can be found right here.